Can Police Find a Deleted Facebook Account? If you would like to know that if a deleted Facebook account can tracked by police, you can get information on that on this page. We are going to provide information on that. If you have any questions regarding a this subject, please feel free to ask us. 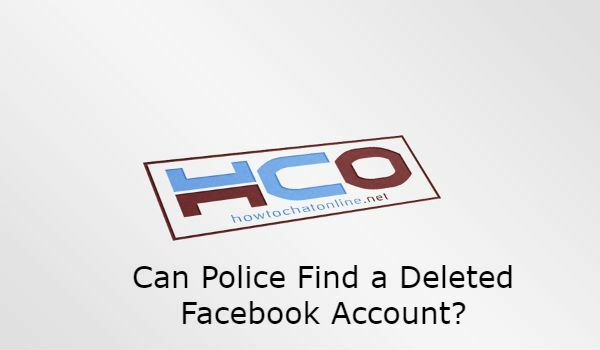 This question”Can police find a deleted Facebook account” has already asked by a user of us. What If I Used a Proxy or VPN? If an account commits a cyber crime on Facebook and then it’s deleted, it reported to police (only if it’s a fraud crime) or attorney generalship. Police or attorney generalship sends a request to Facebook for getting details about account owners. If account is even deleted, Facebook still has the information on those accounts. Facebook gives information on IPs and detailed report to police or attorney generalship. Please note that: Police only cares for frauds and fraud attempts. Other illegal stuff goes to court. Using a proxy or a VPN service doesn’t save to the account owner. This is how things will work if you even use a fake IP through those services. After police or attorney generalship got the detailed information about account, they will understand that user has used a proxy or VPN. They will contact those services (Proxy and VPN) at this time to resolve the actual IP. Proxy and VPN services are sharing actual IPs with courts and police when there is a legal issue. That is how you will be tracked by police and other legal offices. ← How Long Do Whatsapp Messages Stay on the Server?